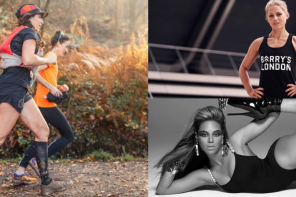 Roll up, roll up, there’s plenty of March madness here with the month’s best fitness events. Lululemon have teamed up with the guys from group personal training gym FitMiBody to offer a free series of four morning workouts designed to help you build strength, speed and power. Starting on 6 March, each session will have a different focus. The first one has a pretty horrifying name – the Test! But don’t worry, you’re only competing against yourself. Your fitness will be assessed with HIIT style shuttle runs, press ups, burpees etc. Then at the end of the month you’ll be able to see how much you’ve improved. Free chia bowls after. Didn’t get in the Prudential RideLondon-Surrey 100 ballot (us neither, sob) or just don’t fancy cycling a century? 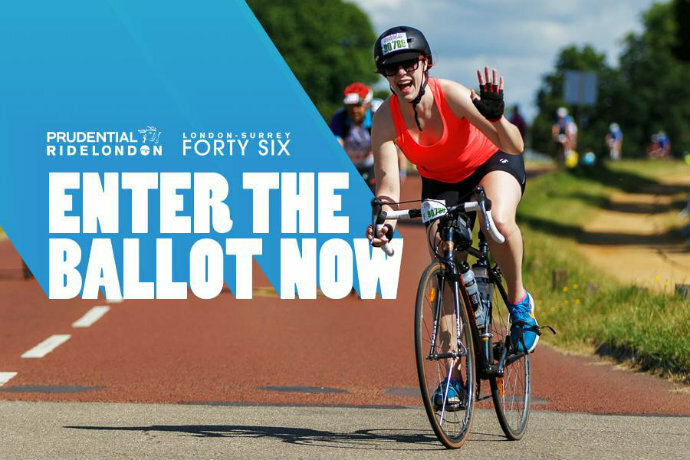 The ballot for RideLondon’s smaller sister, RideLondon-Surrey 46, has just opened. That’s 46 miles of cycling through the closed roads of London and Surrey and you don’t even have to do Box Hill!. A challenge sure but very achievable. It’s International Women’s Day on 8 March so why not tear it up by emulating one of the fiercest divas around, Beyoncé? 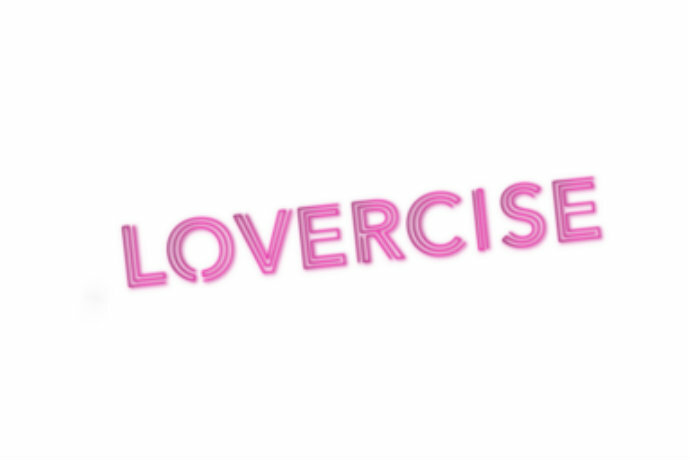 Your moves might be less than bootilicious but this class is more about having fun than being move perfect. All abilities and genders are welcome and they even say you can dance in heels if you want (err, no thanks, we need our ankles). It’s first come, first served so get there early to ensure you don’t miss out. 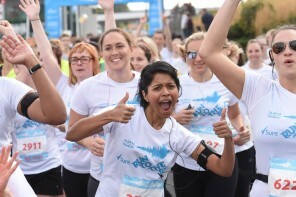 Free, friendly run community WMN RUN are organising a social 5k to celebrate IWD – the day working towards a more gender equal world. 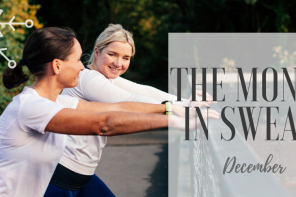 It’s a great way to meet other runners and celebrate just how tremendous women are. Men are more than welcome too and there’ll be drinks in a nearby pub after as well as a goody bag. You know when you go to a boxing class and imagine you’re fighting in a movie? Well this event will add to the atmosphere and make you feel double hard. 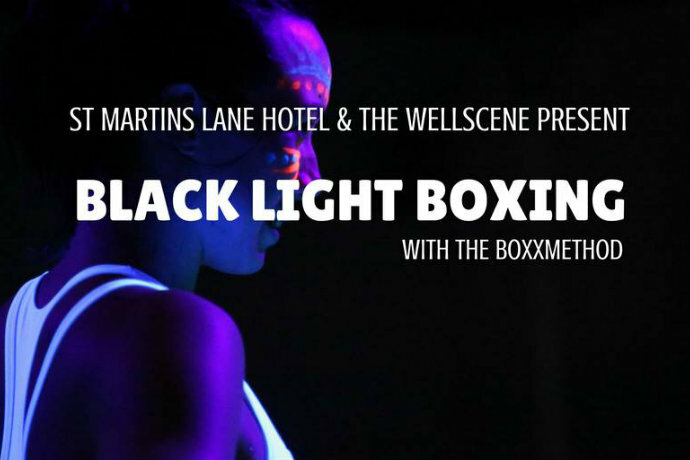 Shadow boxing and interval training is done in the near dark with glow in the dark graffiti and glow sticks. There’s UV face paint too but steer away from flowers and opt for war paint if you want to terrify your opponent. If you want to get out of London for the day, this is a pretty nice way to do it. Pure Yoga Zone – who do stand up paddleboard yoga in the warmer months – have a series of small group yoga and hiking days out planned for 2017, and they’re all within easy reach of the capital. 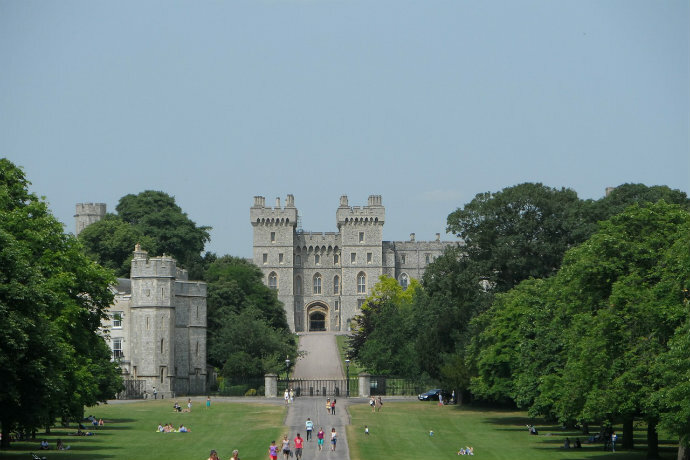 The first is in Royal Windsor (about £12 return on the train). You’ll start with a five-mile walk around the town checking out the castle, parks and posh nobs school Eton. Then you’ll head indoors for a yoga flow class. The afternoon i spent at an outdoor riverside spa with hot tub, sauna and relaxation room. Nice. Further trips include yoga, hiking and wine tasting in Surrey, and a coastal walk and seaside yoga in Seven Sisters. 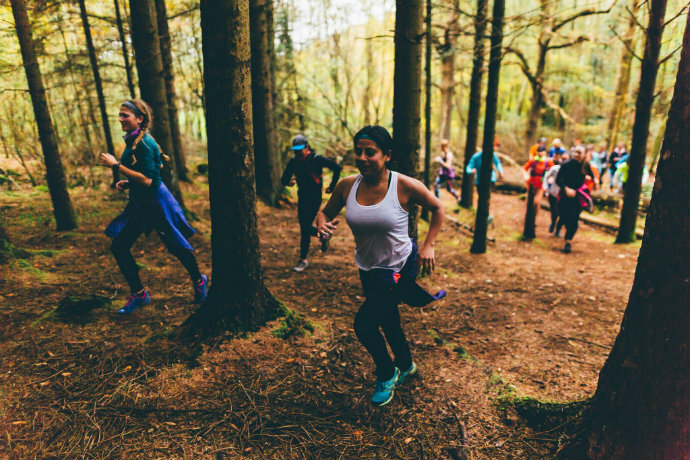 Places on the monthly trail explorations from the North face’s free fitness community usually go in a flash, but there are a few half marathons that day (North London Half, Silverstone) meaning some of the regular runners will have other plans so you could well nab a spot. Leaving from the Regent Street branch of North Face, a free bus will whisk you out to the country for 14km of social running around muddy trails followed by a swift drink in the pub. Not interested in getting your hair wet? This Urban triathlon forgoes swimming and replaces it with yoga. 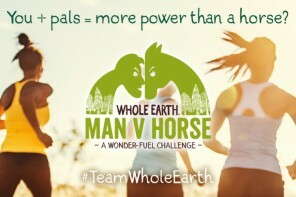 We reckon the venture from Cyclebeat and Hot Yoga Society would be better called a quadrathlon though. You start at the inflatable, heated yoga bubble within Cyclebeat for a ‘Hot Core Abs and Glute blast’ (that’s session 1) before parking yourself on a bike for a 35min cycling class (session 2). After that it’s a 5k run to Hot Yoga Society (session 3) for a 90-minute Bikram Method yoga class (yep, we definitely count 4) and an optional relaxing Yoga Nidra class (that makes it a pentathlon). Oh, and forget what we said about not getting your hair wet, it’s going to be dripping. 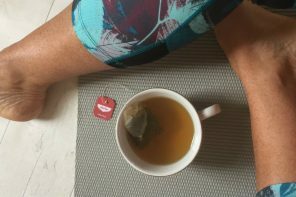 The ‘triathlon’ is part of Hot yoga Society’s Big Weekender, a series of yoga-related special events between 10-12 March. 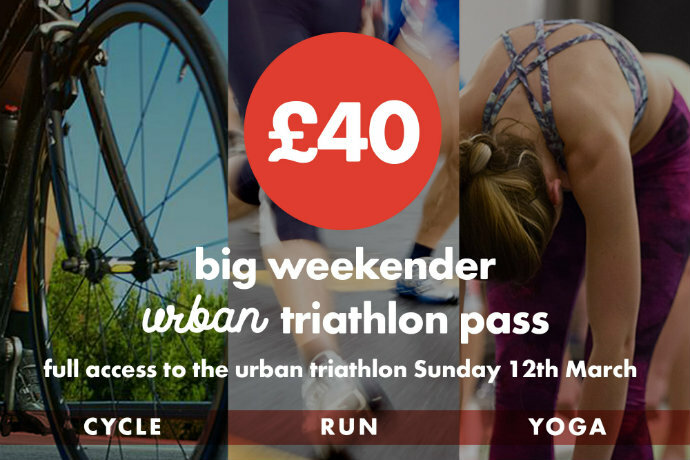 You can book the whole weekend, excluding the triathlon from just £20, check out what else is on here. 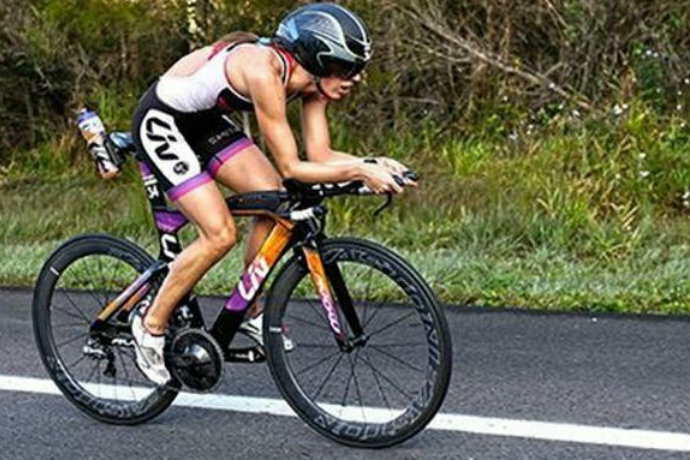 Thinking about doing a tri this year, or already got a few multisport events under your race belt? Whatever your experience, this free event is the place to get all your burning triathlon questions answered. Focusing on women in the sport, there are talks from pro female triathletes, wetsuit fitting, trainer demos, Q&A sessions, transition demos and loads more. 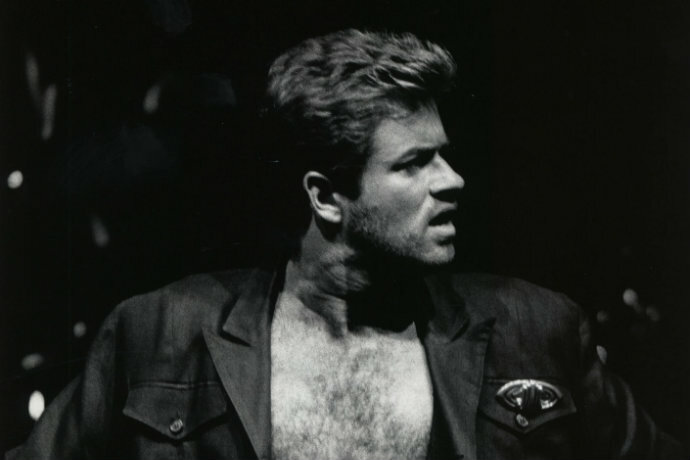 Club Tropicana it’s a Breeze… celebrate the late, great George Michael by learning a dance routine to one of his most popular tunes. Don’t worry if you can’t dance, you just gotta have ‘Faith’ in your own abilities (soz). We really like the guys at Impact boxing. They love what they do and they want everyone else to love it too, which makes for an awesome session. 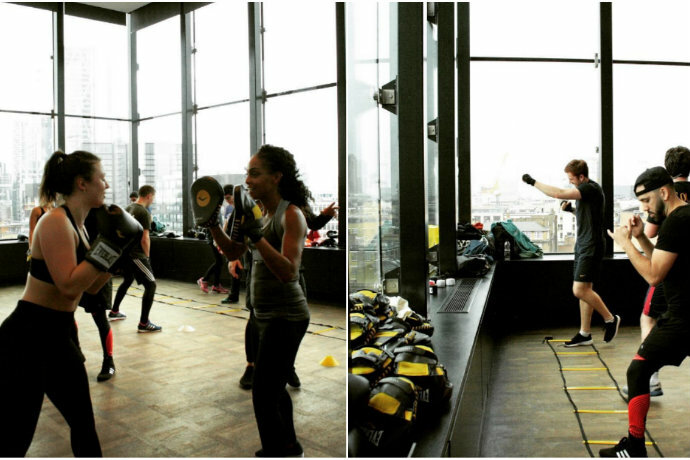 This month they’re taking their boxing classes over to the swanky Ace hotel, where you’ll get great views of London as you hone your right hook. Workshops are a mix of shadow boxing, pad work, agility and strength work. All the instructors box as well, so you’ll get useful feedback on your technique. We all need a party trick and the splits are never not impressive. If you’re as flexible as a pencil you might not get all the way to the floor but this two-hour workshop will help improve your flexibility in a safe and progressive way. 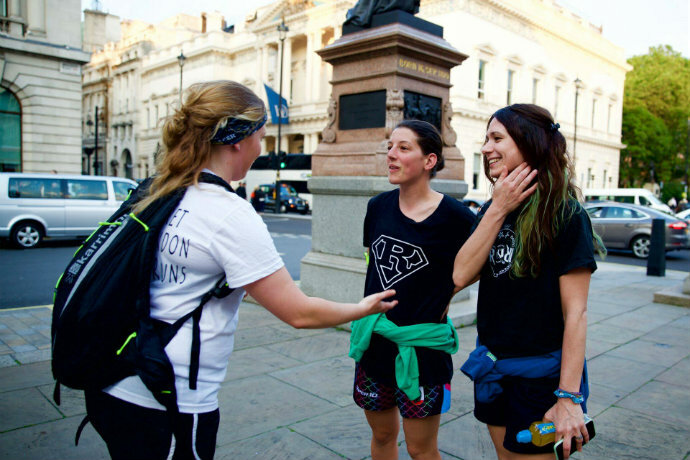 To celebrate international Women’s Day, on 8 March Secret London Runs are leading an 8K along the route of the 1914 march for women’s suffrage. 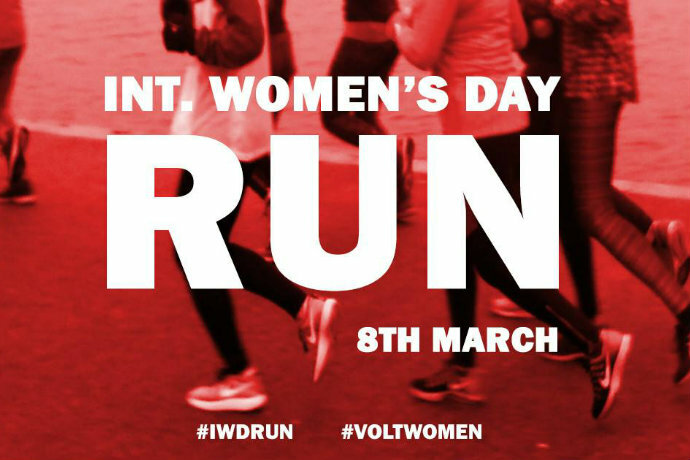 Places on women’s day itself have sold out but you can still join in with the 10k Power Women running tours later in the month. Your guide will lead small groups through the streets of London where you’ll learn all about women who’ve done incredible things and discover how the city has (or hasn’t) celebrated them. Photo stops and a choice of running speeds are available. 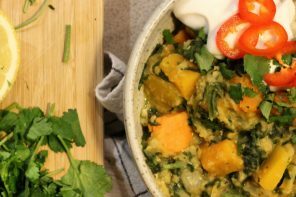 We can’t decide if this is a good idea or the most embarrassing class you’re ever going to go to but dates are selling out so people are obvs keen to give it a try. In a nutshell, this is a fitness class for singles. 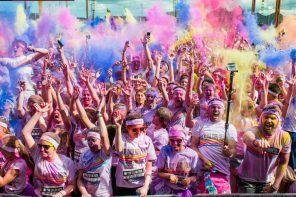 Choose a coloured sweatband to show your status then sweat your way to lurve with a full body workout and mingle afterwards over Oysters and aphrodisiac treats. Even if you don’t find that special someone, £10 is a bargain. 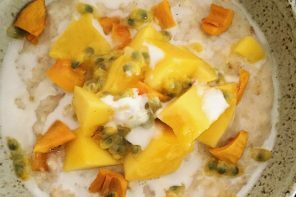 If you’re training for a spring marathon (like me, shiiieeettt), the breakfast run is perfectly timed for practicing your race day fuelling, pacing and clothing strategy as well as getting a long run in somewhere new. 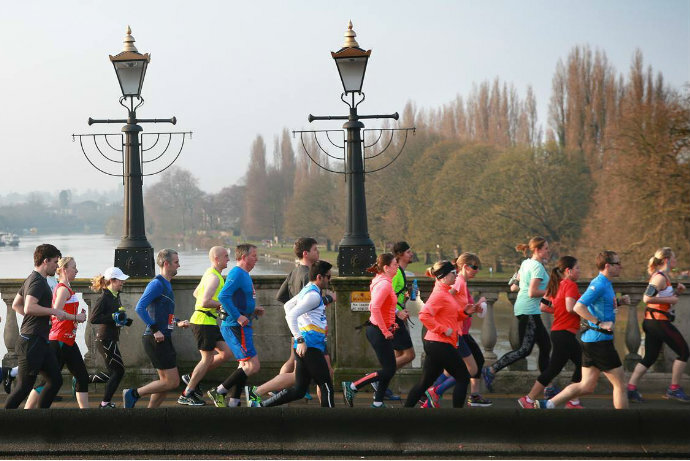 The 20.1 miler has sold out already but there’s still space on the 16.2 and 8.2 mile options. 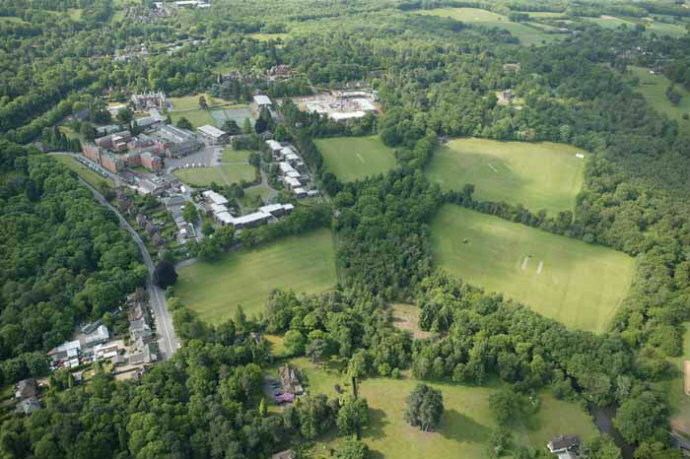 Another popular pre-marathon race, Cranleigh in Surrey is a small friendly run offering two distance options. Roads are open but there’s hardly any traffic as it’s mainly on quiet country lanes, marshalls are super friendly, you finish in a local hall and there are great homemade cake stalls at the end. Watch out for the road camber though, it did for me last time I ran this race. 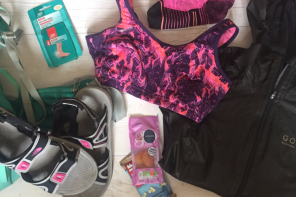 Save money on Lululemon kit! The Canadian activewear brand is opening a boutique at luxury outlet centre Bicester Village and New Balance will be popping up there for spring. Boutiques at Bicester, which is a short train ride from London, offer savings of up to 60% off rrp. 50% off if you use the code FunzingUK when booking here, meaning you can get it for just £10. Heavy Fitness from Massive Music X Frame is a strength and cardio class set to heavy metal. Slay it at Frame Shoreditch on 10 March and 14 April. If you’re considering entering the Swimathon this year – 1.5k, 2.5k and 5k swimming challenges held in 600 pools around the country – get your entry in this month, they close on 5 April and swims take place between 7-9 April.